By taking a close look at God’s work of salvation, we can have insight as to why it’s important to know the name of the Savior. In order to grant us salvation, God created three ages—the age of the Father, the age of the Son and the age of the Holy Spirit. 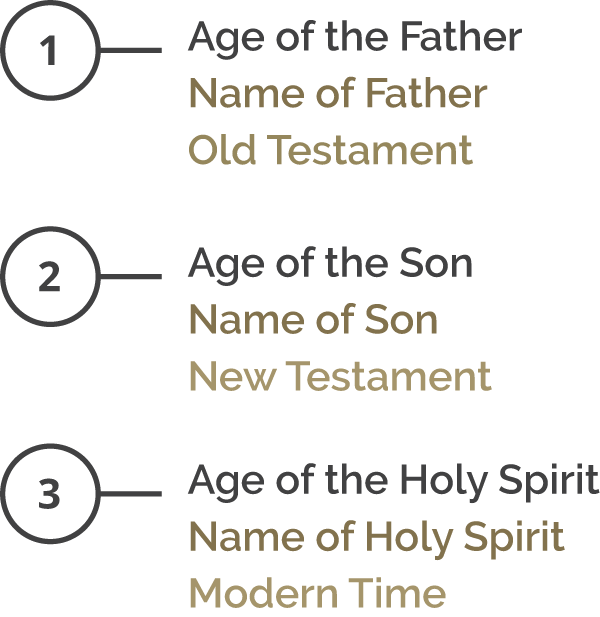 In each of these ages, God appears as the Savior using a different name. In this age, salvation depends on knowing the Savior now; we cannot simply call on the general title of God. A key concept in the Bible helps to clarify this. In this age, salvation depends on knowing the Savior now; we cannot simply call on the general title of God. God gives us a limited period of time to receive the Savior. Just as everything on this earth has a purpose, our faith in God has a purpose too. As long as we live on earth, we are limited by time and space. That’s why the Bible says there is a time for everything, a season for everything. Everything is bound by time limitation—everything has a beginning and an end. For instance, whenever you buy milk at the grocery store, it has an expiration date. The expiration date is the time limit for when the milk will no longer be drinkable. This concept can be applied to our life of faith as well because God gives us a limited period of time to receive the Savior. All activities limited by time contain a particular purpose. For example, people attend college to receive an education and earn a degree; they earn a degree to get a good job; they get a job to make money; they make money to support a family, and so on. Just as everything on this earth has a purpose, our faith in God has a purpose too. You have not seen Christ, but still you love him. You cannot see him now, but you believe in him. So you are filled with a joy that cannot be explained, a joy full of glory. And you are receiving the goal of your faith—the salvation of your souls. The Bible states that the ultimate goal of having faith in God is to receive salvation—and knowing the Savior’s name is vital to that salvation. Knowing the Savior’s name is vital to receiving salvation. God divided His administration of redemption into three ages and gave a different name for the Savior in each of the three ages. 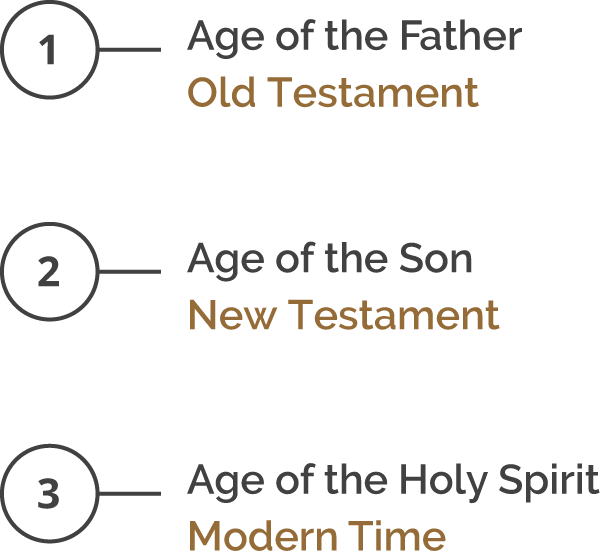 According to the Bible, the three ages are the age of the Father, the age of the Son and the age of the Holy Spirit. Through the concept of the Trinity, we understand God plays three different roles with three different names. In the age of the Father, God plays the role of the Father. In the age of the Son, God plays the role of the Son. In the age of the Holy Spirit, God plays the role of the Holy Spirit. When God plays each of these roles, He uses a different name as the Savior. That’s why Jesus said to baptize in the name of the Father, and of the Son and of the Holy Spirit. It means that the Father has His name, the Son has His name and the Holy Spirit has His name. Not many people know that the Holy Spirit has a name and some mistakenly think that there is only one name of the Savior. Through mated verses in Isaiah and Acts, we can understand why these misconceptions happen. I myself am the LORD; I am the only Savior. During the age of the Father, the name of the Savior was Jehovah. He states that He is the only Savior. In the New Testament, Apostle Peter also testifies about the Savior. Jesus is “the stone you builders rejected, which has become the cornerstone.” Salvation is found in no one else, for there is no other name under heaven given to mankind by which we must be saved. For Jesus is the one referred to in the Scriptures, where it says, “The stone that you builders rejected has now become the cornerstone.” There is salvation in no one else! God has given no other name under heaven by which we must be saved. Previously, Jehovah proclaimed He is the only Savior. During the age of the Son, Apostle Peter proclaimed that the only Savior is Jesus and there is no other name for salvation. Here, it seems as if the Bible contradicts itself—one excerpt says that Jehovah is the only Savior and another says that Jesus is the only Savior. In reality, there is no contradiction. By understanding how the concept of time limitation plays into God’s administration of salvation, it makes perfect sense. Isaiah lived during the age of the Father when the name of the Savior was Jehovah. It was prophesied that God the Father Jehovah would be born as the Son—that is, Jesus Christ. As soon as God was born in the human form, He stopped playing the role of the Father and began to play the role of the Son. At that moment, the age of the Father ended and the age of the Son began. With the change in age also came a change in the Savior’s name. The Savior was no longer named Jehovah but Jesus. Because God switched roles, the age and the name of God both changed. This means that the name of the Savior has a time limit—similar to an expiration date. Once an age ends, the Savior’s name for that age expires. People can no longer receive salvation through that name. This is why, during the age of the Father, Jehovah was the only name through which people could be saved. But as soon as the age of the Father ended, the name of Jehovah expired and people could no longer be saved through that name. That’s why Apostle Peter confidently said that there is no other name aside from Jesus that could give salvation. He understood the concept of time limitation, which marked the expiration of the Father’s name and the beginning of the use of the Son’s name. Now, we neither live in the age of the Father nor the age of the Son.  We live in the age of the Holy Spirit. In other words, God is playing the role of the Holy Spirit, so it’s essential to know the Holy Spirit’s name to receive salvation. Many people mistake the name of Jesus as the Savior’s name in this age. However, Jesus’ name, which is the name of the Son, expired as the age of the Son ended. For this reason, Jesus declared that He would return as the Savior in the age of the Holy Spirit with a new name. By saying, “I am coming soon,” Jesus was speaking about His second coming. He made it clear that when He comes again, He would have a new name. He referred to Himself as the Spirit, which means He’s appearing as the Holy Spirit, not as the Son. This marks the beginning of the age of the Holy Spirit when God’s people must receive salvation through the Savior’s new name. The new name must be a name that the Savior has never used before. Jesus and Jehovah have already been used so they cannot qualify as the new name. The Holy Spirit spoke about how to receive His new name. The Holy Spirit said only those who receive the white stone can know the new name. Biblically, the color white represents purity. It’s crucial, then, to understand what the stone represents. The Bible references the stone through multiple accounts. As you come to him, the living Stone—rejected by humans but chosen by God and precious to him. According to the Bible, the stone represents Christ. With this understanding, Revelation 2:17 means that Christ will come with a new name. The book of Revelation was written around AD 97, so the Christ referenced there is Second Coming Christ. To receive the new name, we must receive Second Coming Christ who brings hidden manna. Jesus made it clear that when He comes again, He would have a new name. He referred to Himself as the Spirit, which means He’s appearing as the Holy Spirit, not as the Son. To recognize the true Holy Spirit and His new name, the Bible also says that He will bring the hidden manna. The one who gives us hidden manna has the name that will give us salvation in the age of the Holy Spirit. According to the Bible, manna represents Christ’s flesh. To receive His flesh, we must celebrate the New Covenant Passover. Jesus first gave His disciples manna through the New Covenant Passover 2,000 years ago. However, this Passover was abolished in AD 325 at the Council of Nicea and became hidden. In 1948, Christ Ahnsahnghong re-established the New Covenant Passover as the feast of God that gives us the forgiveness of sins. Christ Ahnsahnghong fulfilled the prophecy of Revelation 2:17, He is the Holy Spirit and His name is the Savior’s name in this age of the Holy Spirit through which we can receive salvation. The World Mission Society Church of God believes in the new name Christ Ahnsahnghong as the Savior’s name in this age. This means we pray and preach in the name of Ahnsahnghong. We should do these things because the Bible testifies about Ahnsahnghong. With further study, you can have full assurance in the Savior’s new name and receive salvation through Him.